Home » Event » Irish Evening » You, Colum McCann, The Narrowbacks, Stepdancing — HoCoPoLitSo’s Irish Evening — This Friday! You, Colum McCann, The Narrowbacks, Stepdancing — HoCoPoLitSo’s Irish Evening — This Friday! It’s time for Irish Evening! We’re told that writers in Ireland know when HoCoPoLitSo calls, you go. And they come from wherever they are to share with Howard County their work. Our Irish Evening is that special. This Friday it’s happening again and you, yourself, will want to be there. Let The Great World Spin author Colum McCann is returning as our guest for the 35th Annual Irish Evening at 7:30 pm, March 1, 2013 at the Smith Theater, Horowitz Center for Visual and Performing Arts on the campus of Howard Community College. It will be his third Irish Evening, though the second in which he has been featured. You see, one year he came to the evening just because he wanted to take in the occasion for himself and see Colm Toibin. McCann, a winner of the International IMPAC Dublin Literary Award, the most lucrative literary award in the world, has published 5 novels and numerous short stories and articles. In 2003 McCann was named Esquire Magazine’s “Best and Brightest” young novelist. He has also been awarded a Pushcart Prize, the Rooney Prize, the Irish Novel of the Year Award and the 2002 Ireland Fund of Monaco Princess Grace Memorial Literary Award. He was recently inducted into the Hennessy Hall of Fame. 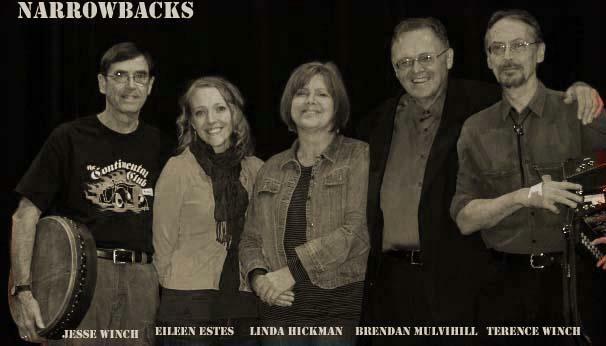 McCann’s reading will be followed by the Narrowbacks, Eileen Korn, Jesse Winch, Terence Winch, Linda Hickman, and Brendan Mulvihill on fiddle in a concert of traditional Irish music with stepdancers from the Culkin School. If the writers themselves are so motivated, how about you? Tickets — there are still a number available at the time of this posting — can be purchased online here. Yes, there will be Guinness. “What’s a Dublin lad trying to do writing a New York novel like this?” Theo Dorgan asks. In conversation with Roddy Doyle. The conversation starts about nine and a half minutes in, after Doyle reads. By hocopolitso in Irish Evening on February 25, 2013 .